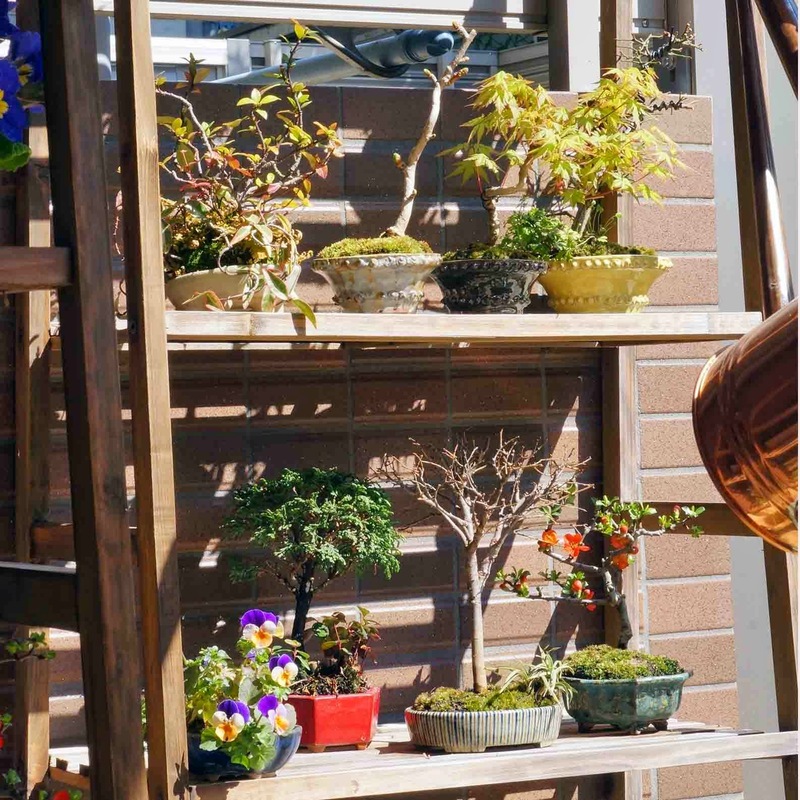 For Your Small Japanese Garden by YUKIMONO: Make your small Japanese Garden! 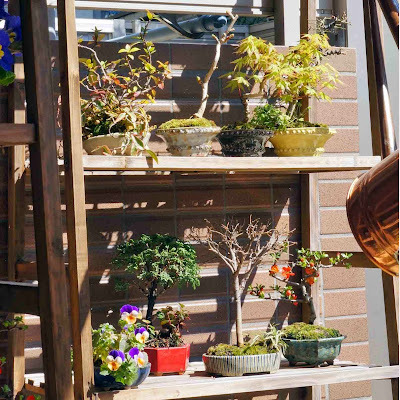 Make your small Japanese Garden! 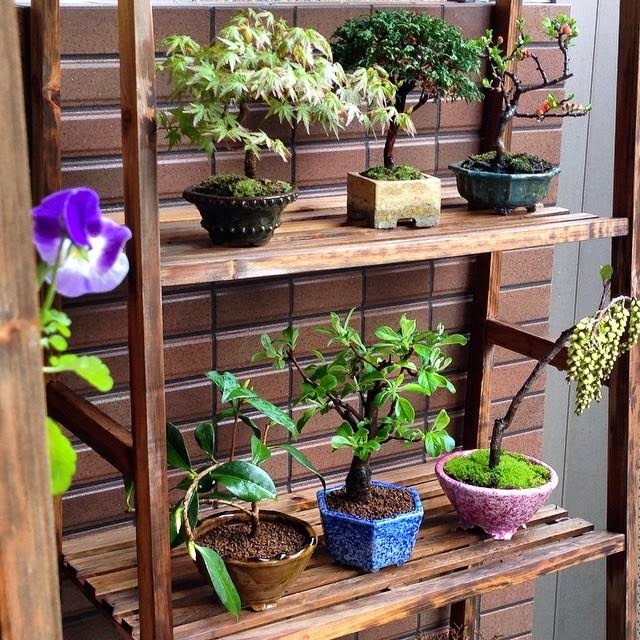 At present I have about 50 bonsai on 3 wooden 4-tier plant stands in my garden. 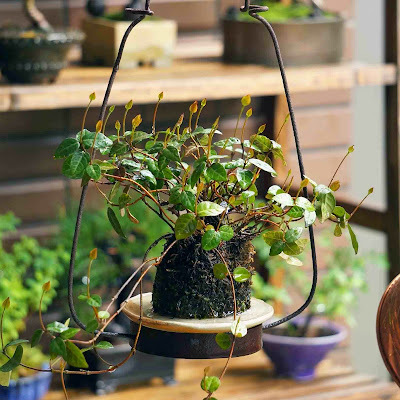 Every morning I enjoy seeing how my plants have grown while watering them. 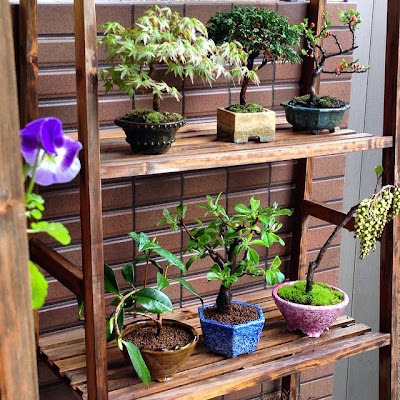 In the evening I bring some of my favorite bonsai into the house and put them on a table in the living room, the side desk in the kitchen and the shelf in the washroom. I like displaying and appreciating my little trees every day. Next morning, I take back them to the shelves outdoor. As long as you have only a bonsai and some small plants with beautiful pots, you will be able to make your own small Japanese garden.